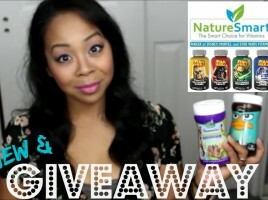 Nature Smart Vitamins Review & GIVEAWAY! Emelyn (6.5) and Maliya (5) wanted to share a Target haul video of their back to school supplies for 1st grade and Kindergarten! Give them a thumbs up for this video and check out their own You Tube channel (TeamYniguez) for more kid reviews, hauls and more! Thanks for watching!! !